According to Nigerian Observer News, the Minister of State for the FCT, Mrs. Olajumoke Akinjide, said that the FCT Administration would make the territory one of the best 20 cities in the world by the year 2020. Akinjide said this in Abuja at the formal launch of the Enumeration of Advertising Signs and Hoardings in the FCT. 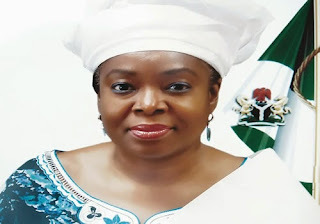 She said that the process was part of efforts being made to sanitise the practice of outdoor advertising in the territory in line with the Transformation Agenda of President Goodluck Jonathan. Akinjide said that by the launch, the FCTA had set in motion the machinery to standardise outdoor advertising in the territory. She said that the main objective of the exercise included improving the internally generated revenue profile of the FCT Administration, sanitising its environment and checking impunity in the practice. She said that the exercise would be carried out through the deployment of customised bicycles manned by National Youth Service Corps (NYSC) members.